The overall lifespan and current condition of your home appliances depends extensively on the quality of professional services. When you need assistance, allow our professionals from Mega Appliance Repair Canoga Park to check and take care of the problem. With long experience in most branded appliances in California and on-going training, our qualified technicians can effectively repair any appliance damage. We offer quick repair work and make parts replacement, but are also here to maintain your appliances, remove them when they are totally damaged and install new ones. You can actually count on our company for any Canoga Park appliances service and rest easy that each and every problem will be taken care of in a timely manner. As a company with great experience in professional appliance repair service, we can take exceptional care of your dishwasher, microwave, freezer and fridge, dryer and washing machine, stove and range, and any other gas or electric regular or small sized appliance in your kitchen. Trained and certified to offer full services, our appliance technicians can inspect the mechanism of your home appliances and offer thorough maintenance. Rely on our routine service to enjoy your appliances longer and spare the hassle of problems. Whenever our appliance service technicians come over for repair or maintenance work, they bring along replacement parts. We consider such initiative important so that we won’t have to come back in the event we’ll have to change worn gaskets, compressors, hoses, igniters and other components. The replacement of the damaged parts is done right away and the installation of the new ones is also done with diligence. All new parts supplied by our business are among the best in California and the perfect match to your appliance’s model and brand. 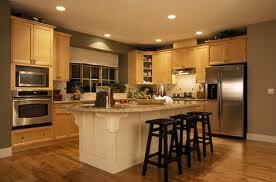 You can rest assured that our appliance service experts are qualified technicians and do expert work. Apart from routine services and parts replacement, our company also offers emergency appliances service in Canoga Park CA. Any problem with the dryer, washer, refrigerator, dishwasher or freezer is fixed as soon as possible and rest easy that our technicians always go the extra mile in order to help customers in Canoga Park fast. Give us a call and let us take care of your needs.